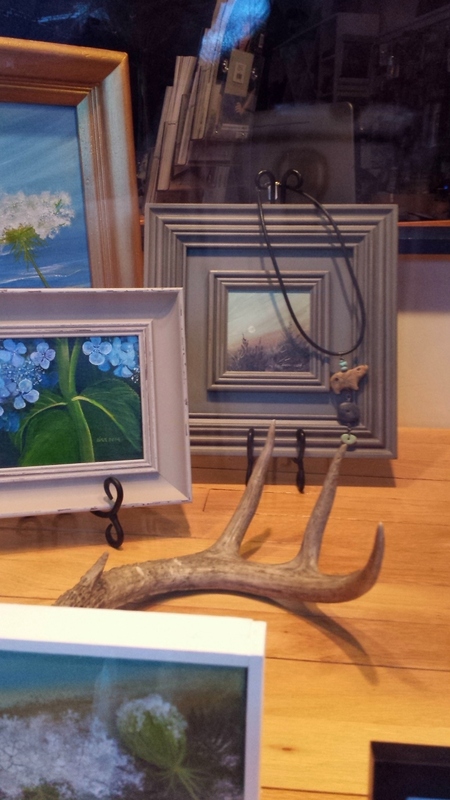 Reminding you that this weekend is still Art Trails, and my studio is open! My brand new studio door! I have been reminded by various people/organizers/mentors that I need to remind you again about this weekend’s open studio. Sonoma County Art Trails 2015 runs two weekends, and this weekend (Saturday and Sunday, Oct. 17 & 18, 10-5) is the last. I’m bad at arm-twisting, except for bugging my husband. So I don’t WANT to bug you. But I know I really should. If you wished you could visit again, by all means, come on by! If you forgot, or didn’t have time, this is your last chance for awhile. So git on down here! Studio #30. In the SOFA Arts District in Santa Rosa, California. In the buildings just south of Julliard Park, on South A Street. I’m down what is affectionately but unofficially known as “Atlas Coffee Alley.” Because it’s an alley, which leads to Atlas Coffee Company. And there’s a sandwich sign at the head of the alley noting same. And I’d love to see you here. I mean, there. At my studio. You can find a map of all participants here. I’m Getting Ready for Art Walk and the Art Tour! 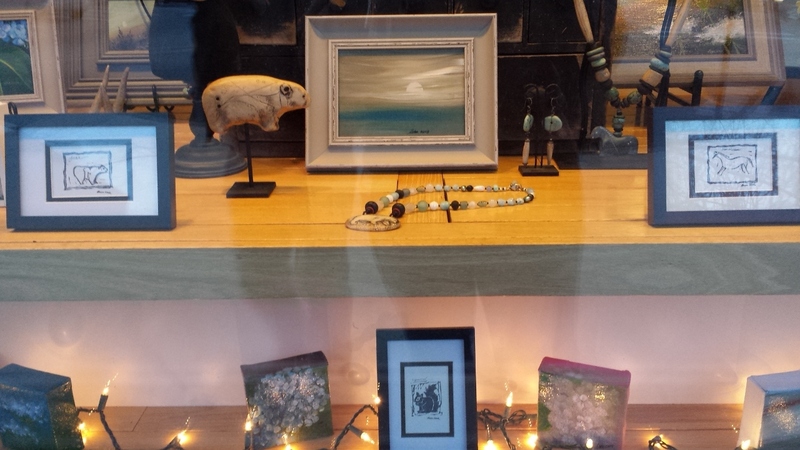 Today fellow artist Tina Siart Boylan and I put together our window for Keene Art Walk (which opens officially this Friday.) Tina is sharing my studio space for the Keene Art Tour, which also starts this weekend–Saturday and Sunday, May 3 & 4, from 10-5. Tina’s art is different than mine. She paints lush florals, delicate treescapes and small robin’s nests with acrylics on canvas. But the window came together beautifully. 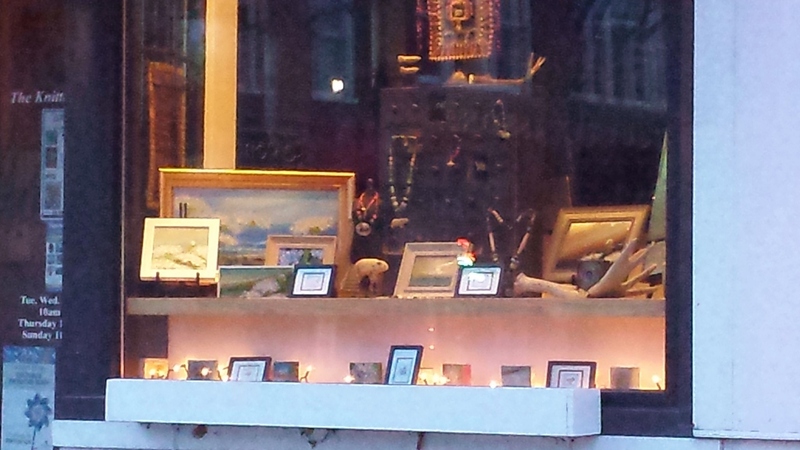 Our window at The Knitting Knook, right on the circle on downtown Keene. 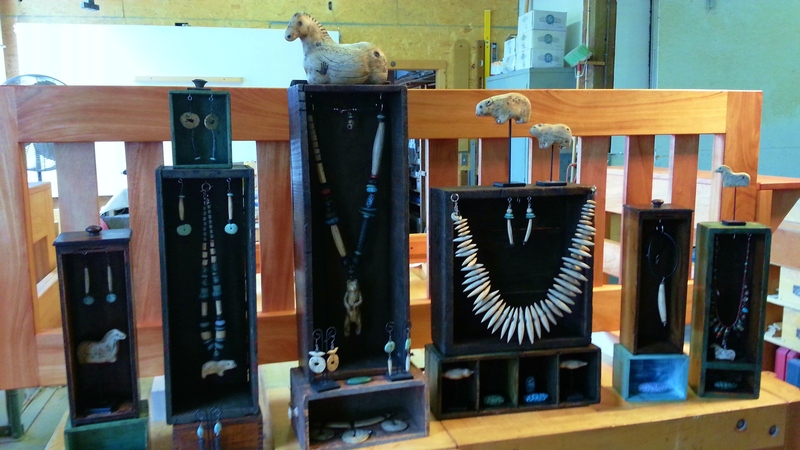 I hope you’ll join both Tina and I at my studio at 271 Roxbury ST in Keene this Saturday and Sunday, May 3 & 4 from 10-5. 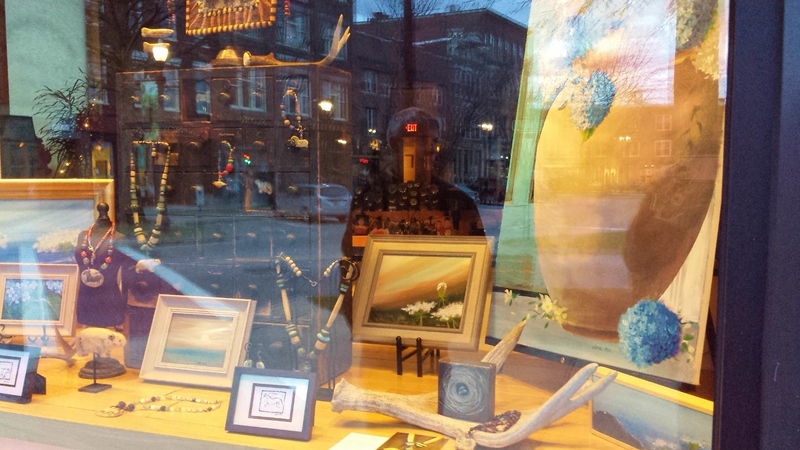 And you can enjoy our window for the entire week, through May 11. You can read more about the process of window-sharing here. 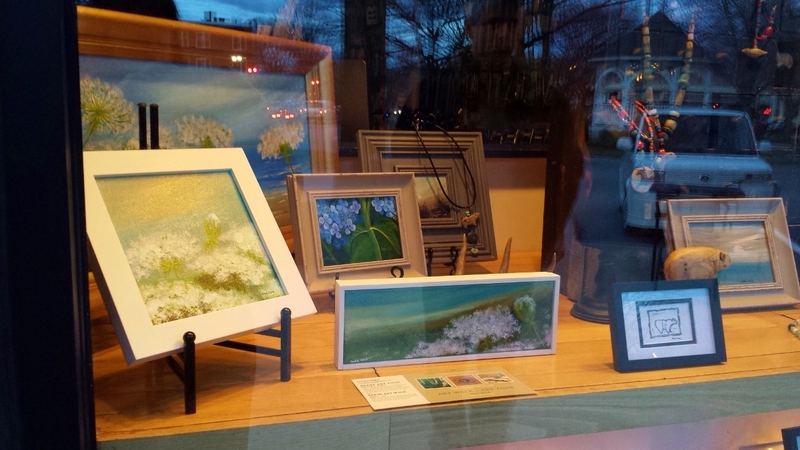 Author Luann UdellPosted on April 28, 2014 Categories open studioTags creating a good window display, Keene Art Tour Spring 2014, Keene Art Walk 2014, Luann Udell, The Knitting Knook, Tina Siart Boylan, window dressing2 Comments on I’m Getting Ready for Art Walk and the Art Tour! 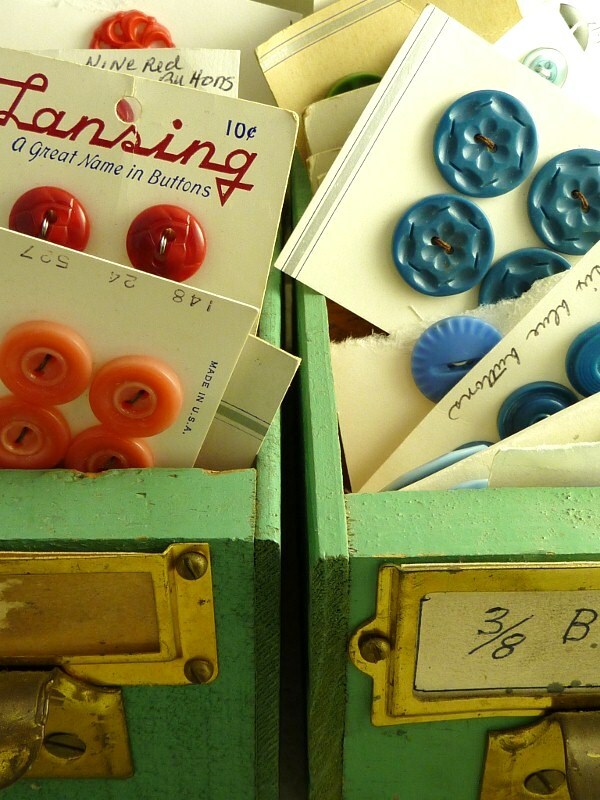 You asked for a virtual open studio tour–YOU GOT IT! Every year, I send out invitations to my open studo. Every year, I get a slew of emails from folks faraway, wishing they could come. This year is different. This year, I made a video! Yes! 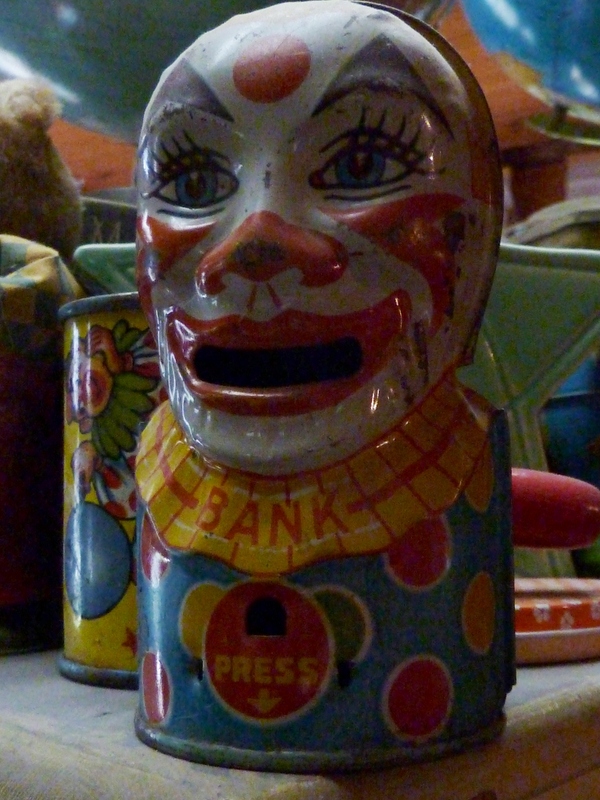 From the comfort (and safety) of your home, you, too, can visit Luann’s cabinet of wonders..
See! The Jar of Many Big Scissors! See! The Bunster-Chewed Leopard Sofa! See! The Blue Bead Drawer! See! My new Antique Box Series! I WONDER WHAT LUANN’S UP TO? Oh, yeah! She has that Open Studio thing next weekend! Yes! Yes, I do. And you’re invited! Me and my studio, we clean up good! 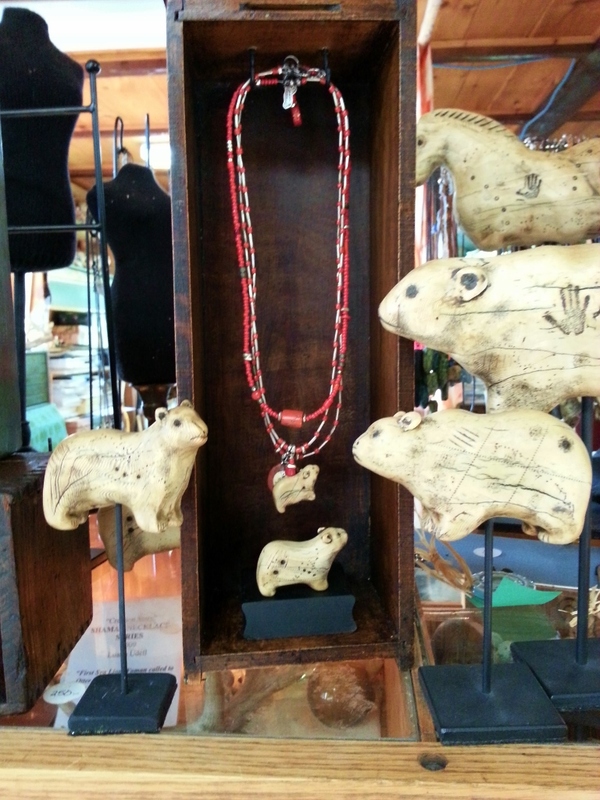 Come see new work: Refurbished antique box displays with art jewelry and sculpture. You can wear it, and you can display it, it looks GREAT either way. The art-in-a-box presentation has been getting rave reviews! Every time I set them up, it changes. Fun! 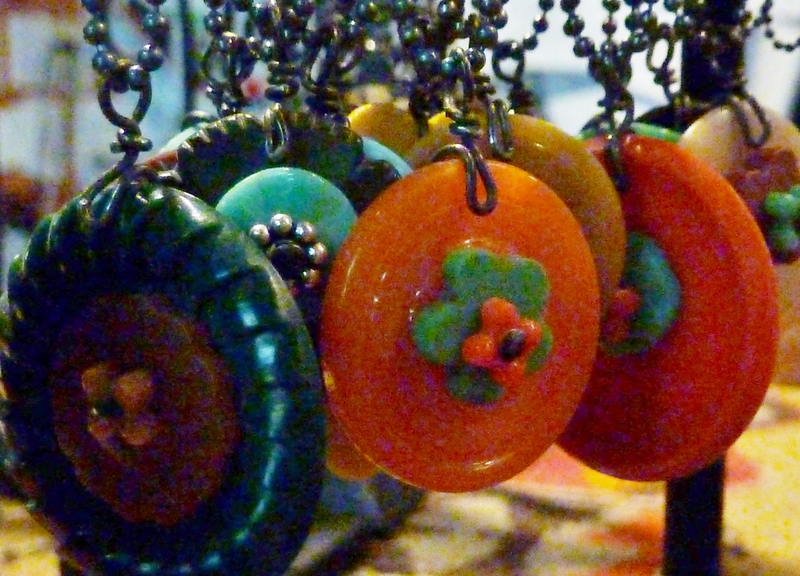 In addition to the my usual work, I will have work for sale I don’t have at the League of NH Craftsmen’s Fair (aka “Sunapee Fair”)–monoprints, gemstone jewelry, vintage button jewelry. I will demonstrate simple jewelry-making techniques. In fact, if you have a favorite piece of jewelry that’s broken or you’ve lost a favorite earring, bring in the survivor. Maybe I can turn it into a pendant or a bracelet for you. I always have interesting snacks (rarely healthy, but I may have some carrots & stuff for you more disciplined folks.) 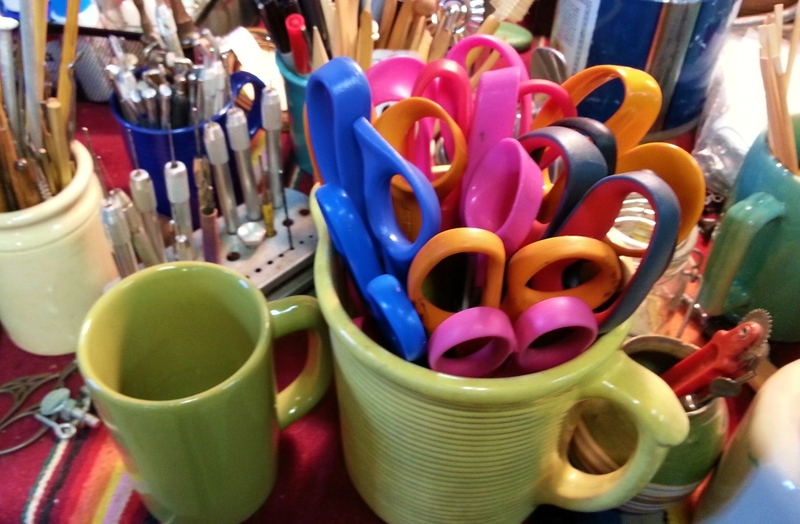 And I always have coffee, hot cider, tea and W*I*N*E.
See…All my scissors in one place! These aren’t actually ALL my scissors. Just the big ones. Yes, I have more. Yes, Bunster is still with us. She’s not loose in the studio too more–she kept running into things. But you can still visit her in her big comfy cage and feed her Cheerios. 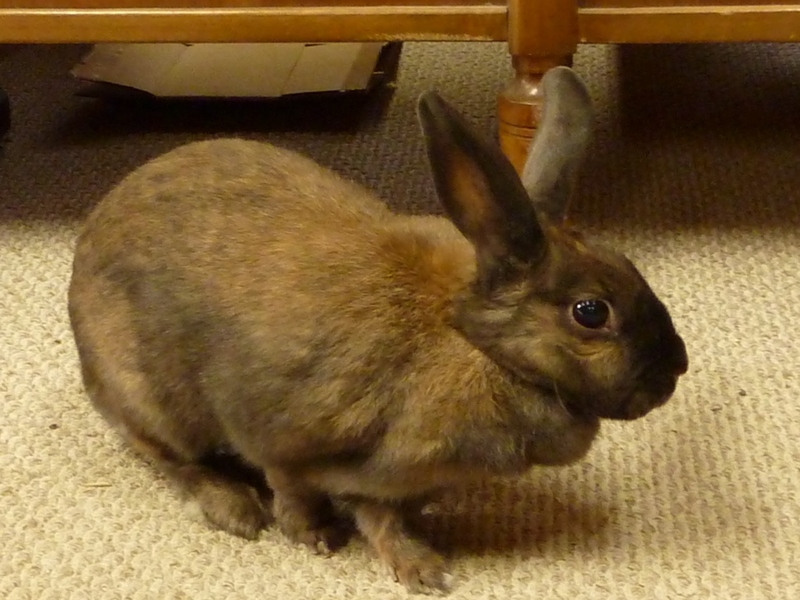 I’m so blessed to still have Bunster! She still loves her Cheerios. 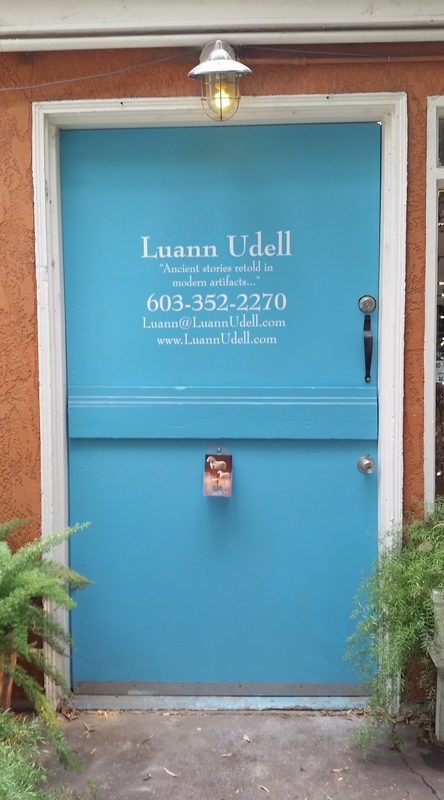 Author Luann UdellPosted on October 5, 2013 Categories open studioTags fall foliage art studio tour, Luann Udell, open studio, things to do in Keene NH4 Comments on I WONDER WHAT LUANN’S UP TO? I’m part of the NH OPEN DOORS, a trail of sights, sites, bites and sound across New Hampshire. I’ll be here Saturday and Sunder, November 5 & 6, from 10 to 5ish. If the lights are on in my studio, so am I. If you haven’t seen them yet, I’ve posted new pics of my studio on Facebook, I’ve made an announcement on my website under ‘Events’ and I’ll be sending an email blast tonight or tomorrow. And guess what I’m doing tonight? Sorry for the strong language, folks, but my gosh, how did it get so messy in here so quickly again?? Gremlins? Dust bunnies? No kids at home anymore, so I can’t blame them…. I know! 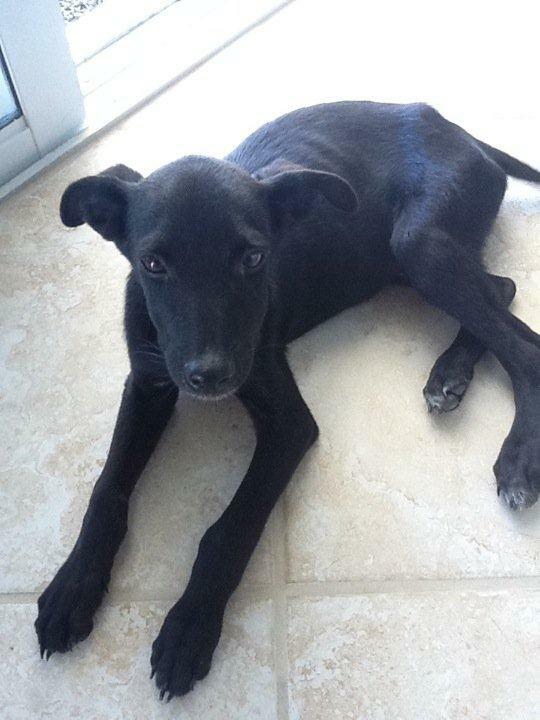 I’ll blame the latest foster potcake puppy, Inca! He looks like butter wouldn’t melt in his mouth, but you can just see how mischievous he looks. And best of all, he can’t type to refute me if I pass the blame onto him. Potcake puppy Inca and yes, those ears are HUGE!! 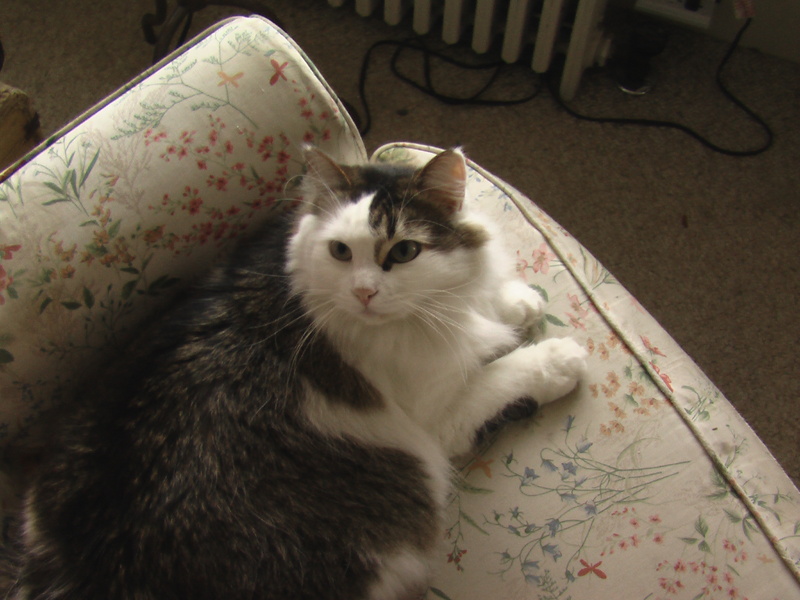 The birds are back in my studio for the winter, so in addition to Bunster, a cat or two, and maybe the puppy and/or Tuck, you can listen to little birds screaming like tiny 2-year-old chimpanzees. Unless you feed them a cookie or two. As always, light refreshments and beverages, good company, lots of interesting stuff to look at and pretty things to purchase. Start a wish list for Christmas, or treat yourself to your own present. Come by and hang out and tell me how you’re doing. And if you see some dust or some beads on the floor, please just don’t say anything, okay? The next sunny day we have in Keene, NH, I’ll take more pics and add another album. 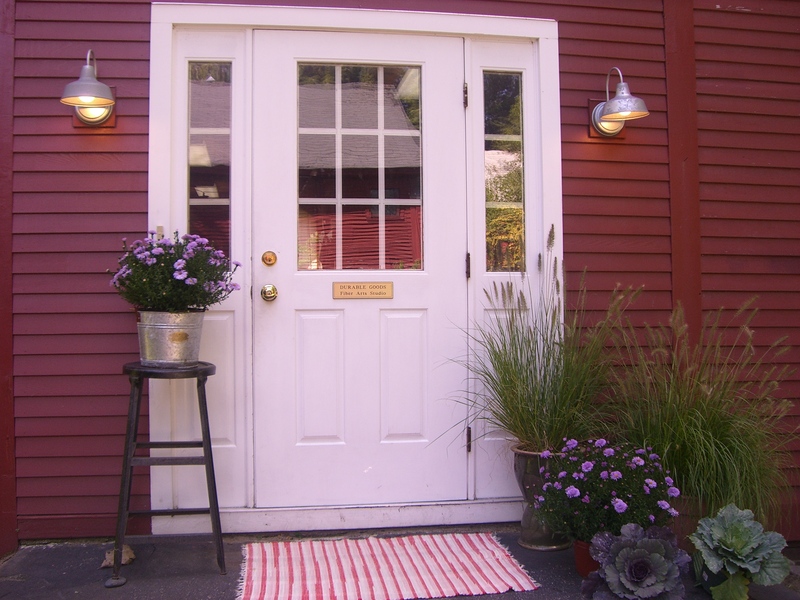 My next Open Studio is Saturday and Sunday, Nov. 6 & 7, 2011, as part of the statewide NH Open Doors event. Hope you can come, and til then….